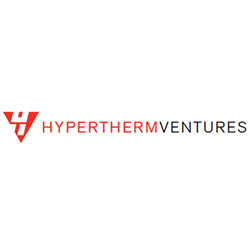 Hypertherm, a Hanover, N.H.-based based manufacturer of industrial cutting systems and software, formed Hypertherm Ventures, a new corporate venture capital (CVC) arm. Hypertherm designs and manufactures industrial cutting products for use in a variety of industries such as shipbuilding, manufacturing, and automotive repair. Its product line includes cutting systems, in addition to CNC motion and height controls, CAM nesting software, robotic software and consumables. The company will leverage its experienced leadership team, combined with a wide range of advanced manufacturing process experts proficient in lean, Six-Sigma, and similar methodologies to benefit entrepreneurs and early stage companies. In addition, the company can support venture partners through its expertise with advanced technology development, engineering, complex supply chain management, global service and distribution networks, as well as a track record of marketing and selling new products.